That last part seems like the biggest problem, variation in expectations. If someone really wanted to reach out to the broadest set of preferences by customer count they would only offer tea bag versions, and that would solve storage problems. It would be tricky to get a basic version of Western loose tea right, and even then half the people into loose tea would have problems with some aspect. I was just in a restaurant yesterday where teas looked great but better versions cost a good bit more than the fish and chips I ordered (and I didn’t try any tea, more because it was in the evening). I think you are wrong. The restaurant tea mostly is served is just a tea bag in a tea pot and doesn’t take that amount of time. I think they are just not interested in tea drinking customers or why they only serve Lipton? The real tea drinker like myself and my husband, we are always curious and on the hunt for restaurants or cafes with a good selection of tea and sometimes we find them and we are happy to pay more for a nice cup or pot of tea. This kind of generalizations is amusing. It obviously depends on location / city & the type of restaurant / establishment. In Hong Kong, some dim sum places used to let you bring your own peurh & brew it the way you like it for you. You can sit there for hours if you are a good customer. In fact, one place even cautioned me against drinking restaurant provided puerh (which I found unremarkable) and told me to bring my own tea. I heard that years ago in Beijing only some hotel restaurants have really rare green tea served to guests at high prices. 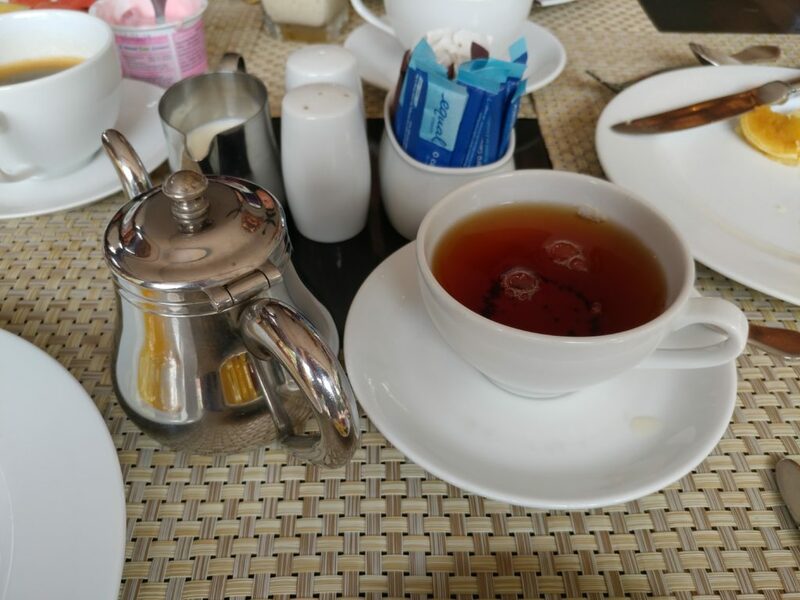 I might have mentioned a bit about how often I see decent tea in restaurants where I live, or where that was. It’s all but unheard of where I live, in Bangkok. A limited number of tea theme cafes sell decent loose tea but in restaurants it rounds down to none at all (although I can think of one exception). That other restaurant was in St. Petersburg (Russia, not Florida), and per my impression few people keep up with decent loose tea there, but probably more than here. It wouldn’t be that hard for a restaurant to stock one mid – range Tie Kuan Yin and a couple others on that level but in few cases would it be profitable, or a business draw. Some tea drinkers wouldn’t care for that basic a selection, or the water mineral content could be way off ideal; lots of things could come up. Lots of other people would only want tea bags instead, or blends with flowers for loose tea. I agree with the premise of the post; it just wouldn’t work in most cases to sell what people with a good bit of exposure to tea would consider good tea. It’s nice that there are exceptions, but I’ve experienced very few, and in a limited sense we do get around.